NORTH KOREA Kim Jong-un's uncle "was shot, not mauled by dogs"
Kim Jong-un's uncle "was shot, not mauled by dogs"
The North Korea ambassador in London rejects the chilling rumors over the death of Jang Song- taek: "He was wrong, he committed terrible crimes and was punished with a normal execution. The rest is propaganda by our enemies". Mystery surrounds the fate of the rest of the family: his wife disappeared four months ago. London (AsiaNews/Agencies) - Jang Song- taek, the uncle of North Korean dictator Kim Jong-un and former "number two" of the regime , "was shot, not torn to pieces by dogs. He abused his power and made tremendous" crimes. This is the political propaganda by our enemies. I think that fabricated report does not deserve my comment", said Hyun Hak -bong, Pyongyang's ambassador in London, during an interview with Sky News aired yesterday in the UK. Jang Song- taek, considered the guardian of the young Kim after the death of the "Dear Leader" Kim Jong -il, was sentenced to death on December 3, 2013. The sentence was immediately executed by firing squad. 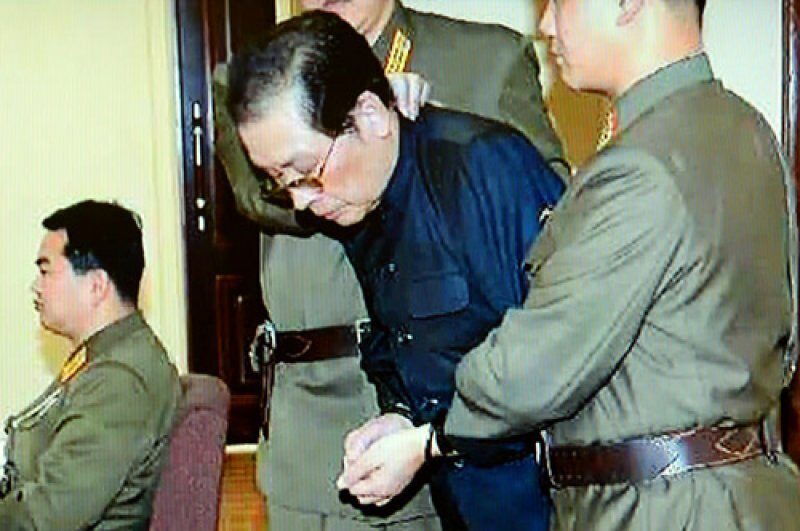 The verdict and its execution were confirmed by KCNA , the official press agency of the North Korean regime : "The court has examined all Jang's crimes, which have been thoroughly proven and admitted by the suspect . The accused is revealed to be the worst traitor to the nation of all time, he has carried out actions against the party and against the revolution, trying to overthrow the leadership of the Party and the socialist system". In the days following confirmation of Jang's death chilling details emerged about his execution. According to Japanese and South Korean media reports, it was transformed into a cruel massacre: his nephew is reported to have fed his uncle to 100 wild dogs who had been deliberately starved for days. Mystery also surrounds the fate of Jang's family. His wife, Kim Kyong -hui (Jong-il's sister) has disappeared since last September and, according to some would be in Switzerland with her half-brother, ambassador in that country, while others argue that she died of a heart attack or cirrhosis of the liver caused by a lengthy problem with alcohol. Asked about the issue, Ambassador Hyun said: "I know that Jang was punished. I know nothing of his family".